MODESTLY approaching the world triathlon sprint championships, Matthew Wolstencroft said there were no sheep stations at stake - but the battle with his mates was paramount. One his way to securing second in the 45-49 age group at the Gold Coast's ITU Age Group Sprint World Championships today, he not only secured a podium finish but also trumped good friend Nathan Fitzakerley. Wolstencroft, a doctor at Mooloolaba, finished the 750m swim, 20km bike and 5km run in a scorching time of 1hr 1min 1sec (9:55, 29:46, 17:33). He was 54 seconds ahead of Fitzakerley (9:24, 29:37, 19:10) who was eighth in the 40-44 division. Chloe McLennan surprised herself to win the women's 16-19 division in a time of 1:04:37 (10:16, 31:52, 18:57). The 15-year-old (1:04.37) didn't realise until she crossed the line that she had actually won. 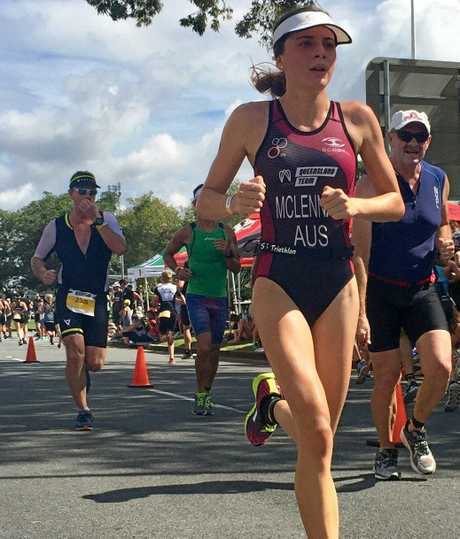 McLellan lives and goes to school in Brisbane and trains with Noosa's Race Pace Club under experienced coach Peter McKenzie and his daughter, former champion triathlete Jacqui McKenzie. She thought she was coming 10th during the race, not realising that the athletes in front of her were actually from another age group. "When I jumped on the bike I honesty thought I was in the second pack,” she said. "I didn't know I was in the lead the whole way...I thought I was coming 10th or something, so it's pretty cool to know (that she won won). "On the bike we all worked really well in the pack and on the run I just gave it all I had. I didn't realise I was in the lead until they put the banner across the line. McLennan qualified automatically for the championships with a win in the Gold Coast Triathlon (converted to a Duathlon). She has raced around Brisbane and inter-state. Brianna Thomas claimed a bronze in the women's 20-24 age group with an effort of 1:06:45 (11:51, 32:45, 18:08). In other strong Coast performances, Michael Hooper was seventh in the 20-24 age group, finishing in 1:00:17 (9:37, 29:36, 17:48). Warana's Ryan Devlin was seventh in the 25-29 age group, with a 1:02:02 (10:57, 30:02, 16:58). 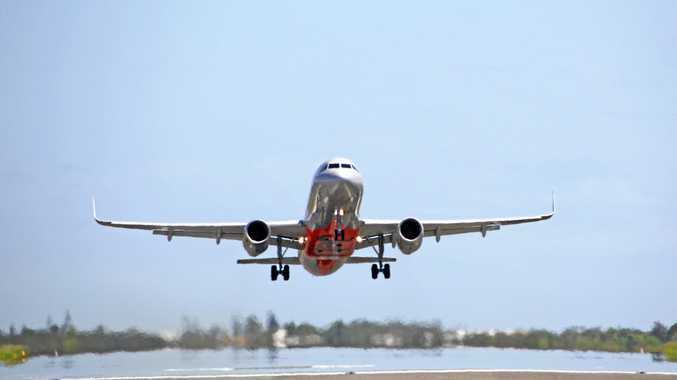 More than 5000 athletes have converged on the Gold Coast this week for the ITU World Triathlon Grand Final. 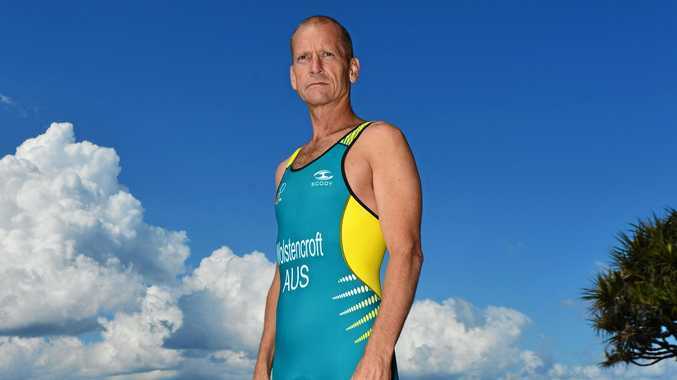 Athletes have qualified to represent their country, with age groupers racing over the sprint distance today and the standard distance (1.5km swim, 40km bike, 10km run) on Sunday. Michael Hooper 1:00:17 (seventh M 20-24) Sunshine Coast Triathlon Academy (9:37, 29:36, 17:48). Matthew Wolstencroft 1:01:01 (second M 45-49) Sunshine Coast Triathlon Academy (9:55, 29:46, 17:33). Ben Holland 1:01:54 (10th M 30-34) Sunshine Coast Triathlon Club (10:59, 29:32, 17:29). Nathan Fitzakerley 1:01:55 (eighth M 40-44) Atlas Multisports (9:24, 29:37, 19:10). Ryan Devlin 1:02:02 (seventh M 25-29) Warana (10:57, 30:02, 16:58). Jordan Gover 1:03:01 (sixth M 45-49) Sunshine Coast Tri Academy (9:56, 29:51, 19:30). Chloe McLennan 1:04:37 (first F 16-19) Race Pace Coaching (10:16, 31:52, 18:57). Dmitri Simons 1:04:52 (20th M 45-49) Noosa Tri Club (10:58, 30:08, 19:23). Adrian Lovatt 1:05:40 (11th M 50-54) Caloundra Triathlon Club (11:29, 31:35, 18:13). Brianna Thomas 1:06:45 (third F 20-24) Sunshine Coast Triathlon Club (11:51, 32:45, 18:08). Chloe Turner 1:07:56 (fourth F 25-29) Sunshine Coast Triathlon Academy (10:23, 33:49, 19:54). Alice Latham 1:09:40 (14th F 30-34) Atlas Multisports (10:15, 33:17, 21:32). Maddison Dutton 1:11:44 (14th F 20-24) Sunshine Coast Triathlon Academy (11:04, 33:18, 23:00). Tania Gover 1:12:02 (15th F 40-44) Sunshine Coast Triathlon Academy (11:49, 34:28, 21:42). Emma Dann 01:13:15 (35th F 16-19) Sunshine Coast Triathlon Club (11:29, 33:33, 24:14). Maureen Cummings 1:16:17 (14th F 55-59) Sunshine Coast Triathlon Academy (11:09, 34:32, 25:56). Inna Atkinson 1:17:08 (42nd F 45-49) Atlas Multisports (12:55, 34:58, 23:43). Penny Hearn 1:25:06 (fourth F 65-69) Noosa Tri Club (14:27, 37:55, 26:17).